Makarba, Post Jeevraj Park, Ahmedabad, India 380051. 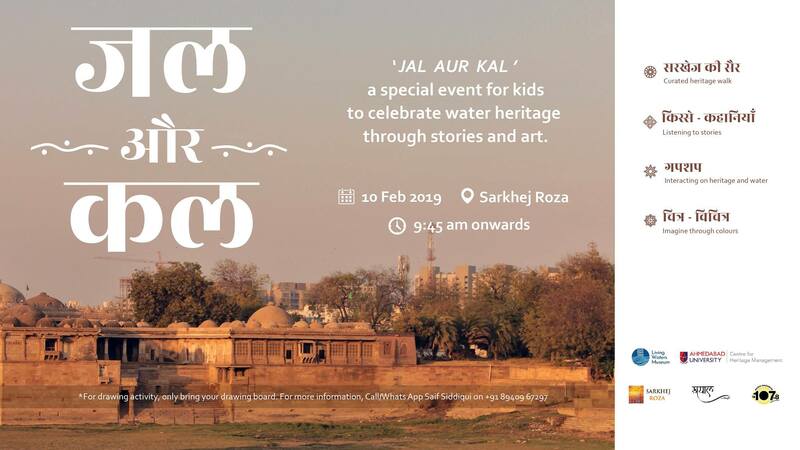 ‘Jal aur Kal’ is a special event for KIDS to celebrate water heritage through stories and art. The event will start with a heritage walk around Sarkhej Roza followed by a story-telling session. The event will conclude with drawing activity. There is no bad or good drawing, so something special will come up out of the drawings later. P.s. Parents can accompany their kids.